Casagrand Asta is one of the residential development of Casagrand, located in Chennai. It offers spacious and skillfully designed 2BHK, 3BHK and 4BHK apartments. The project is well equipped with all modern amenities and 24 x 7 security service to facilitate the needs of the residents. Closer to your Budget! Close to Anna Nagar! Casagrand Asta at Korattur. Just 10 Mins from Anna Nagar, at 1/3rd price of Anna Nagar. Located in North-west Chennai, Korattur is named among the top 10 preferred rental localities of Chennai. The locality offers some unique location advantages as it is in proximity to prominent locations of the city and is served by various public transit systems. It provides all the basic amenities like schools, banks, ATM, and hospitals. The region gets scenic views from Korattur Lake which falls within the region. The region is also famous for greenery all around. It is populated with thick and old trees on both sides. There are many famous Hindu temples in Korattur, the important one being the Pillaiyar Kovil.  What is the project location?The project is located at Korattur, Chennai North. What is available flat size in Casagrand Asta? Flat sizes in the project range from 614.0 sqft to 2096.0 sqft. What is size of 2 bhk in Casagrand Asta? The area of 2 BHK apartments ranges from 614.0 sqft to 1325.0 sqft. What is the area of 3 bhk in Casagrand Asta? Three-room units (3BHK) in the project are available in an area of 1439.0 sqft to 1691.0 sqft. What is total area of 4 bhk in Casagrand Asta? 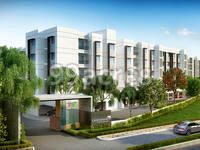 4 BHK units in the project are available in a size of 1909.0 sqft to 2096.0 sqft. What is total size of Casagrand Asta?The project is built over an area of 5.5 Acres.